Here’s a great contest for you! 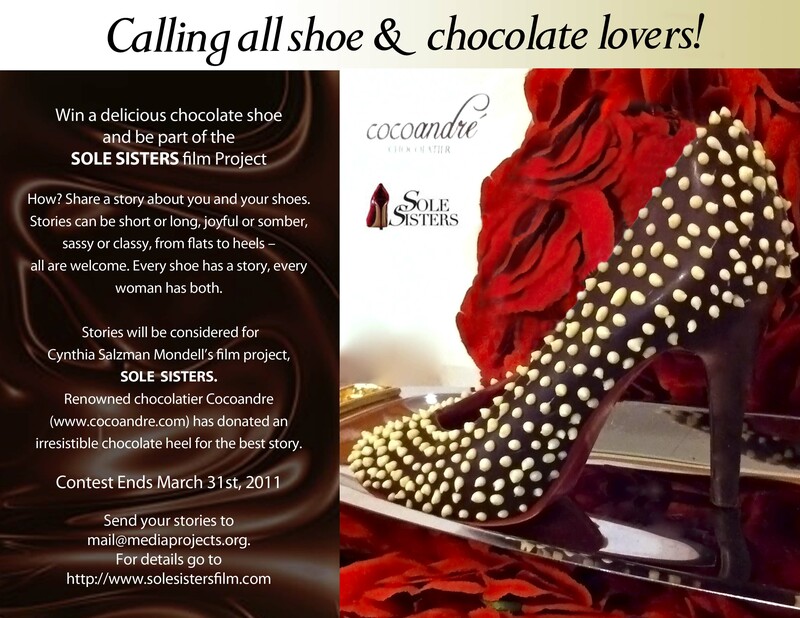 We are calling all shoe and chocolate lovers to participate! How? Share your most memorable story about shoes. Tell us about the day you got your first heels or the time the doctor told you to switch to flats… Do you have that one pair of shoes that you will never let go off because it holds your sweetest memories? Which shoes did you wear in the happiest times of your life and what did they make you feel like? Do heels empower you? And if so, why do you think that is? Did someone fall head over heels for you because of your shoes? Every shoe has a story, every woman has both. Stories can be short or long, joyful or somber, sassy or classy – all are welcome. 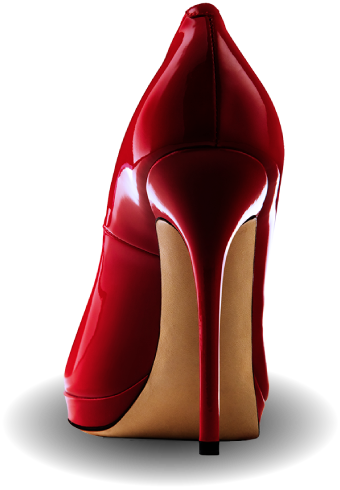 The stories will be considered for the SOLE SISTERS film project and renowned chocolatier Cocoandré has donated an irresistible chocolate heel for the best story. The contest ends on April 30st Please send your stories to mail@mediaprojects.org. If you are craving some decadently delicious chocolate, please visit Cocoandré at www.cocoandre.com.